Gift an Imagica experience! Imagica Gift Cards are a unique way of gifting your loved ones. Use it for practically all things at Imagica/Aquamagica – from buying tickets to purchasing merchandize or food at park. Hassle-free gifting and easy delivery. 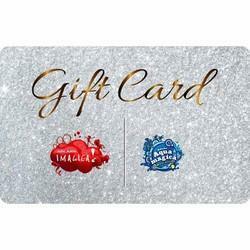 Gift Card Value can be utilized between both parks (Imagica / Aquamagica). The best fine dining restaurants in Mumbai. A perfect place with your family friends. Embark on an exciting experience of paragliding in Kamshet with a set of certified pilots and flying enthusiasts.Are you ready to feel light and fly high? 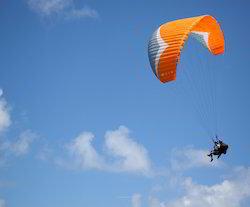 If yes, never miss a visit to Sahyadri, Maharashtra the paradise in Pune for paragliding! Sahyadri is a hill station situated in the hills of Western Ghatsalso called the Great Escarpment of India. If you are a person who loves adventure and fun, Sahyadri have loads to offer. Admire the beauty of nature in its finesse and relish the peaceful and calm ambience. Enjoy in the expanses of nature and bask yourself in bare nature. This means you can enjoy the experience of flying like a pro for ten minutes or more without any training or experience, thanks to an experienced tandem pilot, state of the art equipment and breath-taking sites. We feel immense joy and pride that Sahayadri Hills has today become one the hubs for paragliding in India. One such amazing place is Tarkarli, Malvan. Tarkarli is a beautiful beach with abundant underwater beauty such as coral reefs, exotics fishes, sea plants, dolphins, and much more to be explored through scuba diving. The clear waters are safe even for the most juvenile diver. 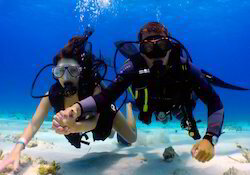 Scuba Diving experience in Malvan is a must as it adds a feather to the scenic beauty and mouth-watering cuisine that Malvan offers. Be on top of your grooming game. Why look good only on special occasions, make sure you cut a dash every single day! 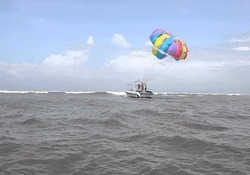 Parasailing in the backwaters is a newly introduced activity in Tarkarli where one can fly over the backwaters and also get a beautiful view of the confluence of the backwaters and the sea. High power boats are used for.open beaches for an offbeat adventure! 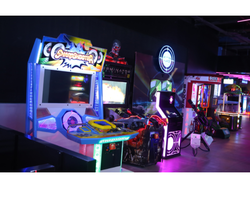 Smaaash is a one pit-stop for all your entertainment and is the perfect place for the entire family friends. A wonderful sporting complex which creates the virtual-reality experience and provides the best interactive entertainment section. The games are made from the innovative techniques and create a marvelous experience in the spirit. Water Kingdom is Asia’s largest theme based water park. The Island of Fun is located on the coast of Mumbai, a scenic setting injected with thrill & entertainment. Looking for Experiential Gifting ?